Your own testing robot - ATLAS! From Valve's puzzle-platforming Portal 2 video game. Fully articulated… including the "eyeball"! Includes the Portal gun and a display stand. From arguably one of the most popular video games of all, Valve's puzzle-platforming Portal 2, comes one of the co-op duo testing robots - ATLAS. 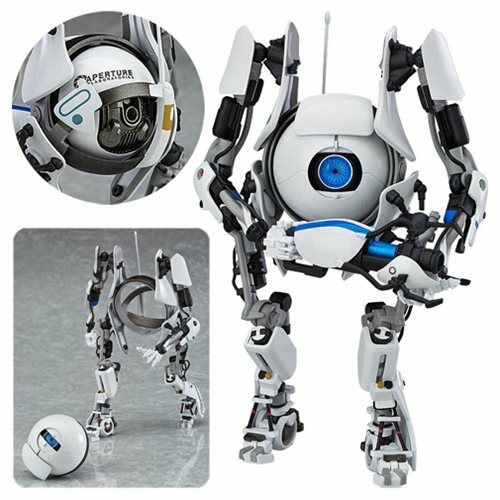 This 5-inch tall Portal 2 ATLAS Figma Action Figure is fully articulated… including the "eyeball"! Other accessories include the signature Portal gun and a display stand. Ages 15 and up.